Rice is a delectable carbohydrate-rich alternative to pasta and potatoes. Basically, rice variants differ in shape, color, and texture. While jasmine rice, when completely milled, falls under the different types of white rice, these two types are far from being alike. Primarily grown and harvested in the eastern parts of Asia, jasmine rice is most prominent in Thailand, Laos, and Cambodia. Also known as Thai fragrant rice, it is a variety of long-grain rice that is most commonly served with other Asian delicacies. The term “jasmine” was derived from the jasmine flower and is mainly because of the rice variant’s white color. Popular for its fragrance, the sweet aroma of jasmine rice highly resembles the scent of pandan leaves. When cooked, jasmine rice is stickier than other long-grain rice. It also has a distinct soft, moist texture and a slightly sweet flavor. White rice, on the other hand, is a general term referring to a rice variant. During the harvest season, the grains are milled to remove the germ, bran, and husk. The milling process highly alters the taste, appearance, and texture of the rice. More importantly, it prolongs storage life, preventing spoilage for an extended period of time. As the last step, the rice is polished, leaving it white and shiny. 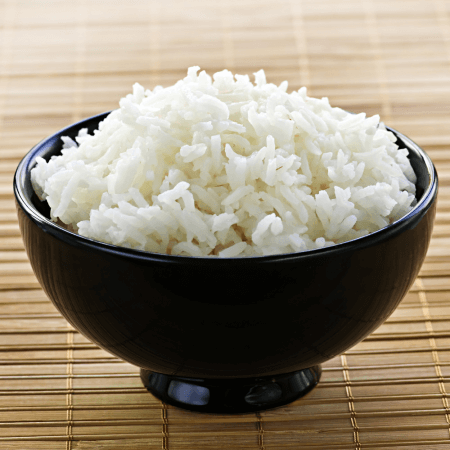 Varieties of white rice include jasmine rice, basmati rice, and arborio. The nutritional content of white rice depends on external factors such as soil type and environmental conditions, along with the fertilizers used for crop production. So what’s the difference between jasmine rice and white rice? Basically, jasmine rice is a type of white rice. However, these two terms should not be used interchangeably because there are still notable differences between them. First, white rice is a term referring to fully milled and polished rice grains. During the milling process, the germ, bran, and husk are removed for white rice production. Meanwhile, jasmine rice can either be completely or partially milled. While white jasmine rice is fully milled, brown jasmine rice still has its bran intact due to partial milling methods. It follows, therefore, that both rice variants can greatly differ in color and nutritional content. White rice, as the term implies, is always white in color, whereas jasmine rice can either be white or brown in color, depending on the milling process. In terms of nutritional content, there are minimal differences between the fat, carbohydrate, and caloric content of white rice and white jasmine rice since they both undergo a complete milling process. 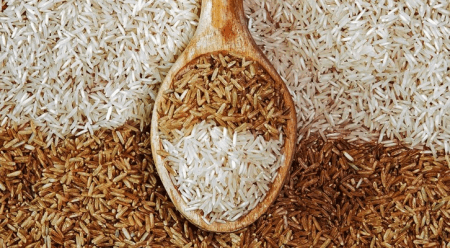 Furthermore, according to studies, all variants of white rice lack iron, vitamin B1 and vitamin B3 due to full milling and polishing procedures. Because of this, the US requires white rice enrichment to prevent the progression of neurological diseases. In relation to this, as compared to white rice and white jasmine rice, brown jasmine rice is more nutritious because its bran is still intact. A source of vitamins A and B, along with beta-carotene and antioxidants, brown jasmine rice is a healthier alternative to white rice variants.